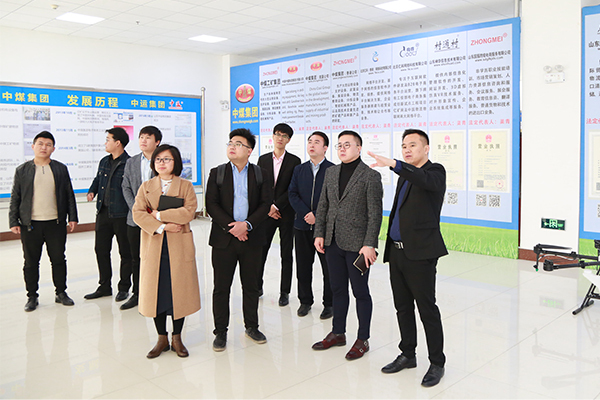 Summary: On the morning of April 4th, Huawei Technologies Co., Ltd. EBG Shandong Region Deputy General Manager Li Chaojun visit China Transport Group.Visit and investigate related matters such as cloud, AI intelligence, software R&D and other fields. China Coal Group Chairman Qu Qing, Group Executive Deputy General Manager Li Zhenbo and Fan Peigong, Shandong Shenhua Information Technology Co., Ltd. General Manager Lu Haiyon accompanied the leaders. 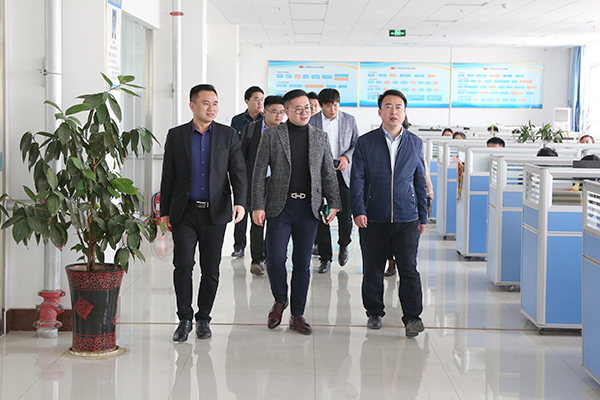 On the morning of April 4th, Huawei Technologies Co., Ltd. EBG Shandong Region Deputy General Manager Li Chaojun visit China Transport Group.Visit and investigate related matters such as cloud, AI intelligence, software R&D and other fields. China Coal Group Chairman Qu Qing, Group Executive Deputy General Manager Li Zhenbo and Fan Peigong, Shandong Shenhua Information Technology Co., Ltd. General Manager Lu Haiyon accompanied the leaders. General Li and his entours first visit the China Transport Group Corporate Culture Exhibition Hall. 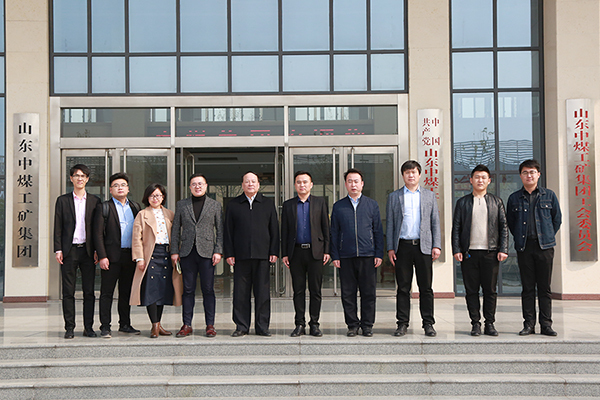 During the visit, Group Executive Deputy General Manager Li Zhenbo on the Group's development achievements and future plans in e-commerce, cross-border e-commerce, AI intelligent manufacturing, software R&D, new industries and other fields have been introduced in detail, and the Group has focused on 5G, big data, The outstanding achievements in cloud computing and other aspects have been highly praised by Huawei experts. In recent years, China Transport Group has actively responded to China's 2025 national strategic plan, vigorously promoted the conversion of new and old kinetic energy, improved the level of integration of manufacturing and Internet development, actively promoted industrial transformation and upgrading, and successfully developed industrial intelligent robots by introducing advanced technology concepts of foreign robots. Various industrial intelligent products such as restaurant service robots, smart home robots, entertainment robots, fire fighting robots, crawler detonation robots, and agricultural plant protection drones have contributed to the rapid development of the artificial intelligence industry! In order to make better use of 5G communication, artificial intelligence, industrial Internet, and advanced technology of Internet of Things to promote the development of manufacturing industry, the Group also invested in the establishment of China Transport Group Intelligent Technology Research Institute, striving to overcome intelligent manufacturing problems, transform intelligent scientific research results, and output. Leading models, incubating innovative companies and other aspects play an important role in demonstrating! As the first batch of outstanding industry cloud platform service providers in Shandong Province, China Transport Group is also actively carrying out enterprise cloud work. It has successively reached partnerships with leading enterprises such as Huawei Cloud, Jinshan Cloud and Mobile Cloud to actively build industrial cloud environment and cloud development. The cloud application industry and service system, among which the China Transport Group's self-developed and operated billion-element network cloud platform was rated as the outstanding cloud platform of Shangyun Enterprise in Shandong Province, and made positive contributions to the development of enterprises in Jining City and even Shandong Province!